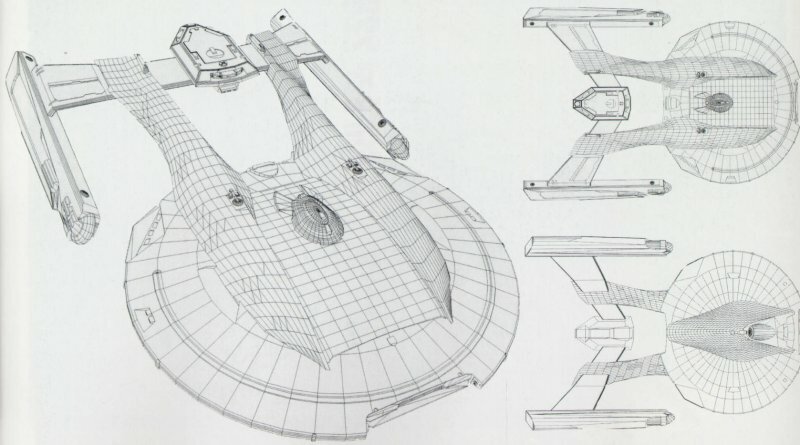 Designing a starship for Star Trek isn't easy. Besides the incredibly high standards, there's the fact that there have been hundreds of different starships and it's hard to come up with an original idea. How do you keep it fresh and original? Alex Jaeger (Hulk, Star Wars: Episode VI - Return of the Jedi, Star Trek) gave an interview in Star Trek: The Magazine back in 1999 that explained the whole process while working on Star Trek: First Contact (1996). As ILM's Alex Jaeger discovered, creating a new Starfleet vessel is a task that involves combining traditional design features with some clever new variations. The Akira-class was one of four computer-generated ships that were designed for Star Trek: First Contact, and it became the favorite of the Industrial Light and Magic artists. 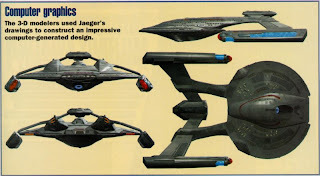 Alex Jaeger, a designer at ILM, says the radically different look of the new ships was born of necessity. "The main reason they look really different is that from a distance, the producers wanted them to be completely new looks, because we introduced a new Enterprise in the film and didn't want it to get lost," Jaeger explains. "They initially planned to have at least one ship that we could get closer to camera. That was the Akira, so it got the most attention to detail. It wound up being almost as big as the Enterprise-E - the E is longer, but the saucer section is almost the same size." "It was one design they [the producers] liked from the get-go. It has some of the feel of the old USS Reliant NCC-1864 and its rollbar effect, but with a catamaran style with the split hull design. In the side view you almost can't see the bridge because between the sides of the hull, down between the two sections, is a protective device. "This was my gunship/battlecruiser/aircraft carrier," Jaeger adds. 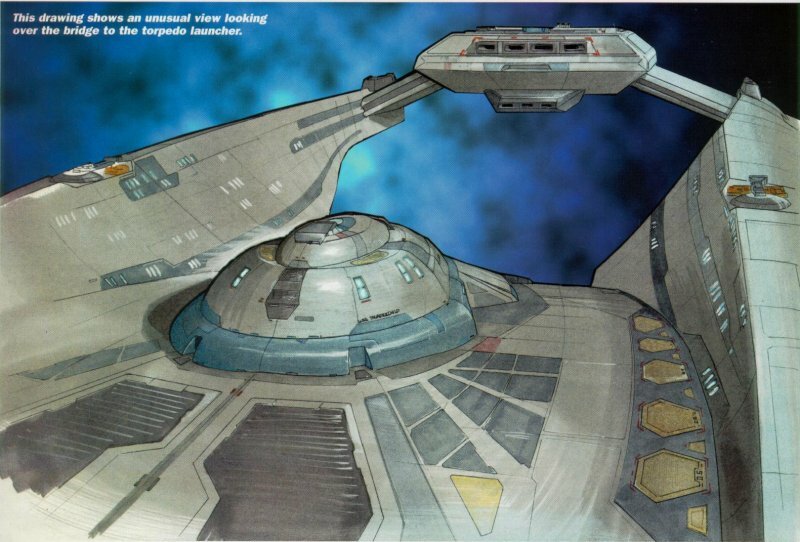 "It has 15 torpedo launchers and two shuttlebays - one in the front, with three doors, and one in the back. I really got into it with one, with the whole idea that the front bay would be the launching bay, and then to return they'd come into the back, because they'd be protected by the rest of the ship." 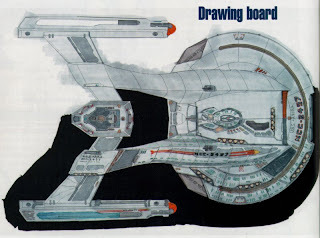 The Akira-class can supposably perform a saucer separation using the catamaran hull edging to define the start. 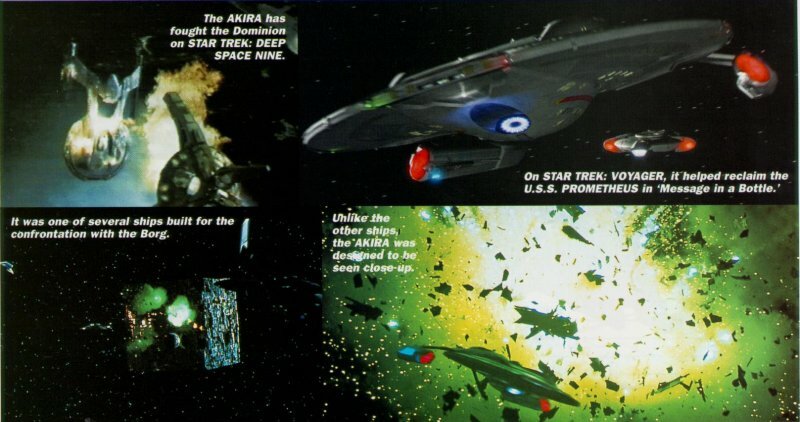 The separation idea was not pursued, but the Akira-class made its appearance in the dramatic battle with the Borg at Sector 001, as well as in several battles with the Dominion, and on Star Trek: Voyager. See more of Alex Jaeger's portfolio at http://alxartblog.blogspot.com/. The illustrations that you provided are great..:) Seeing some of the thoughts behind the designers mind I like in your post. i came to return the favor?.I'm attempting to in finding things to enhance my web site!I assume its good enough to make use of a few of your ideas!! Please let me know if you're looking for a article writer for your blog. You have some really good articles and I feel I would be a good asset. If you ever want to take some of the load off, I'd love to write some content for your blog in exchange for a link back to mine. I as well am an aspiring blog writer but I'm still new to the whole thing. Do you have any recommendations for newbie blog writers? I'd genuinely appreciate it. I'm really inspired together with your writing abilities and also with the format for your weblog. Is this a paid theme or did you customize it your self? Anyway stay up the excellent high quality writing, it is uncommon to look a nice weblog like this one today..
What's up to all, how is the whole thing, I think every one is getting more from this site, and your views are pleasant designed for new viewers. Hi there, You've done a fantastic job. I will definitely digg it and personally recommend to my friends. I am confident they will be benefited from this website. 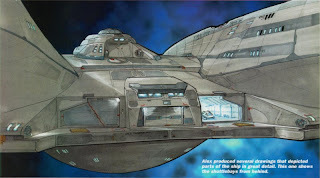 wound up here "How to Design A 'Star Trek: First Contact' Starship By Alex Jaeger".